Halloween: How to handle my hate for the crappy treats | Kids in T.O. Love: My kids’ excitement around deciding on a costume and their happiness when you make it happen. Love: When they don’t change their mind about the costume the day before the big day. 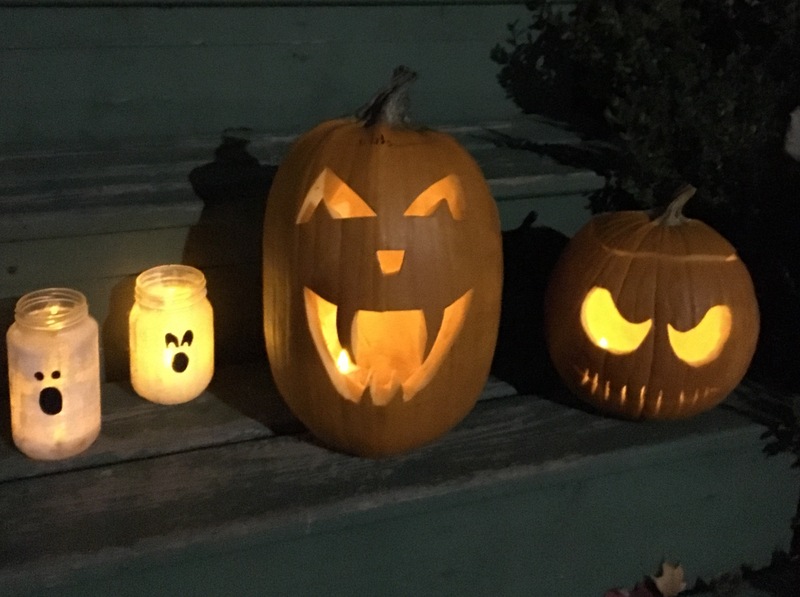 Love: Carving pumpkins and hanging out with friends and neighbours trick-or-treating. Hate: The overflowing bags of crappy treats and all the garbage it creates afterwards. So I assumed when I asked fellow Mom in T.O. Nishta Saxena, a Registered Dietitian and owner of Vibrant Nutrition, about how she handles the onslaught of candy, she’d be down with my disdain. In fact, she continues, research shows that from a young age if children have restrictions and moralization that sugar is “bad” and they are not allowed to have even the worst of sugary treats, this can stoke the fires of rebellious eating patterns and future disordered eating. 1 – Lay out what is going to happen on Halloween before the big night. 2 – Allow your child to collect candy at houses where you feel safe. By limiting the number of homes, you instantly limit quantity of candy. You can even walk the route with the kids the day before to show them, building anticipation what kind of treats there will be and which house will be the spookiest. 3 – One of the great ways to buffer the insanity of excess candy and crap is to host or have Halloween parties where you bake or make homemade goodies. Kids love being engaged by cooking and food prep and best of all you get a bit more control over the ingredients. Have friends over, be sure to include ‘Monster Mash” and some “Mommy Juice” as my friends call it. 4 – At home afterwards pick the treats they can have that night then put the rest away out of sight. 5 – Then make a plan to pick a few treats to have in the following days with limits – perhaps a little candy in the lunch for the first couple days following the big event. 6 – Be sure to throw out all that in the garbage within a week after Halloween – eg. no saving candy for six months above the fridge! It is not food and provides no nourishment whatsoever, so don’t attach emotion to it. 7 – Highlight the experience, rather than the candy. The reward of this “holiday” is dressing up, being creative, having fun, baking or making fun treats, playing with friends and neighbours, and yes, tasting super-crappy treats.